Need Copper Gutter Installation Work in Largo? If you need high-quality copper gutter installation in Largo, call one of our local offices at 410-558-1111, and we will get back to you with a quote as quickly as possible. We are a locally owned and operated, fully licensed chimney, gutter and slate company built on delivering the best possible service at a low cost. We have been servicing Largo homes and businesses for over 30 years. We pride ourselves on prompt, reliable service. Give us a call at 410-558-1111, and we'll assess your project, and price out your job right away. For copper gutter installation work, there is no better choice than Clean Sweep. 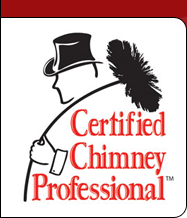 We provide chimney inspections, chimney linings, fire box repair, slate shingle replacement, duct and vent cleaning, and services to people in Largo, and throughout the Baltimore and Washington DC areas.